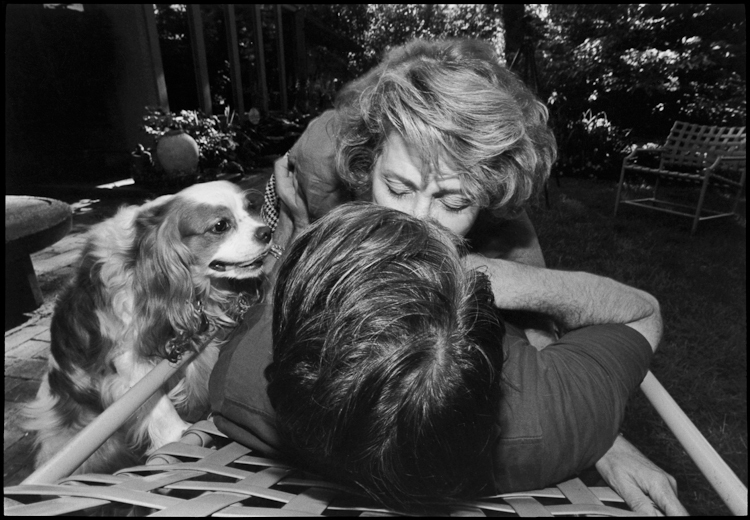 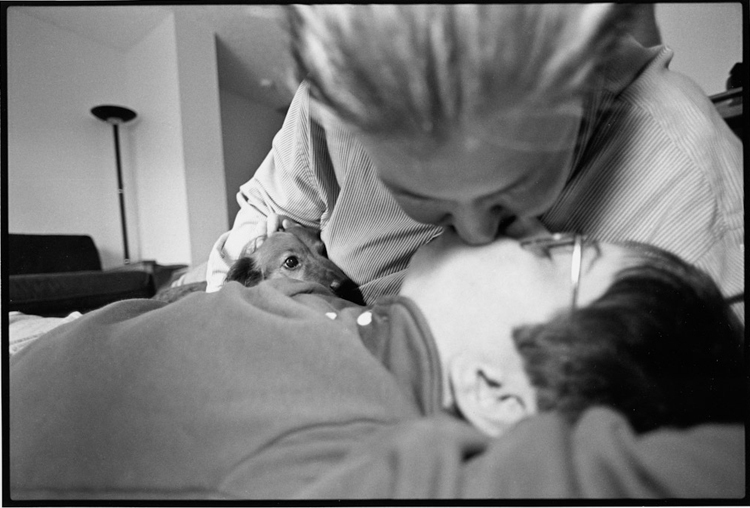 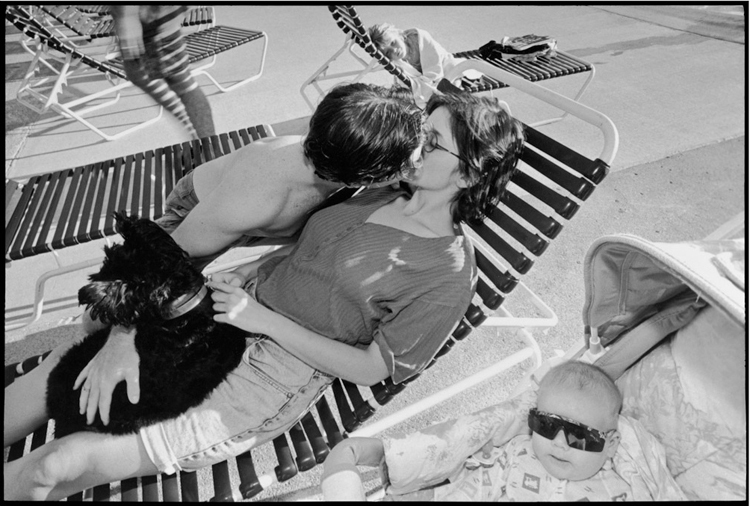 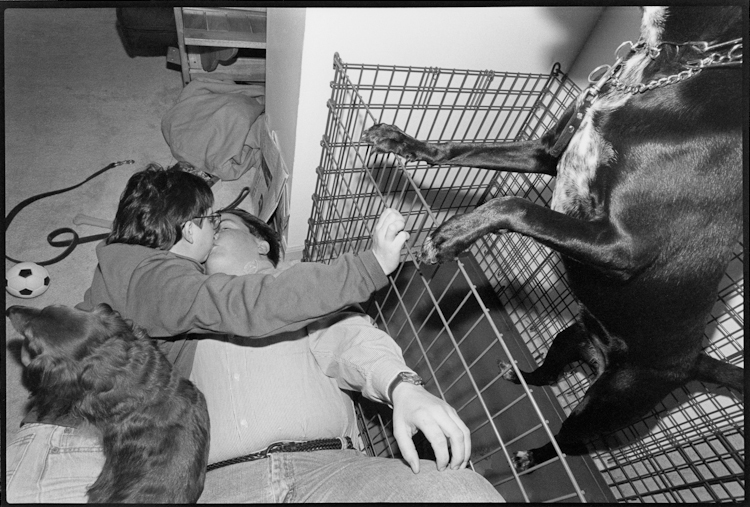 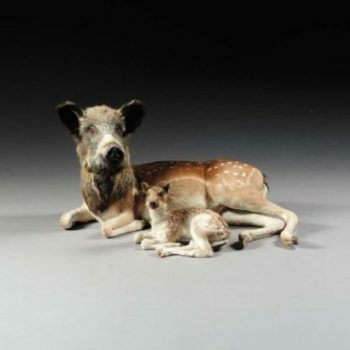 The aim of James Friedman’s series Pleasures and Terrors of Kissing is not necessarily to show the bizarre affections shared between people and their animals, yet dogs are the subject of these kisses or make small, strange cameos in the photographs that feel either voyeuristic or like documents of performances. 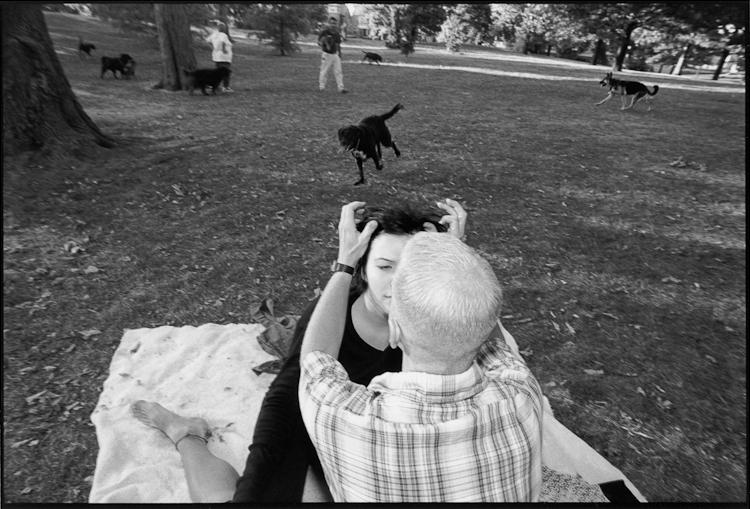 When the artist emailed me with a submission of his work, I found the snapshots of often curious kissing scenarios hilarious enough, but add dogs and the photos are taken to a whole different level. 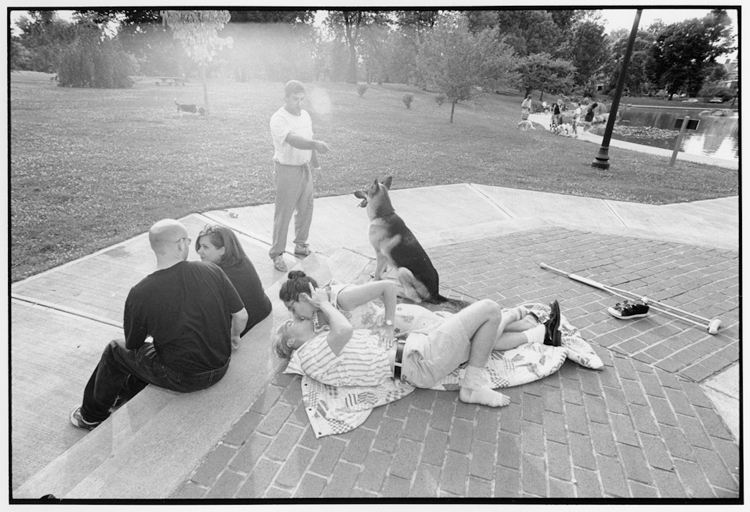 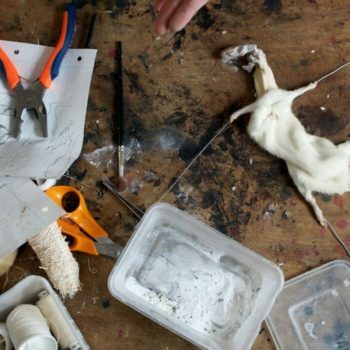 And it’s not just dogs watching people kissing; there are so many other things doing on! 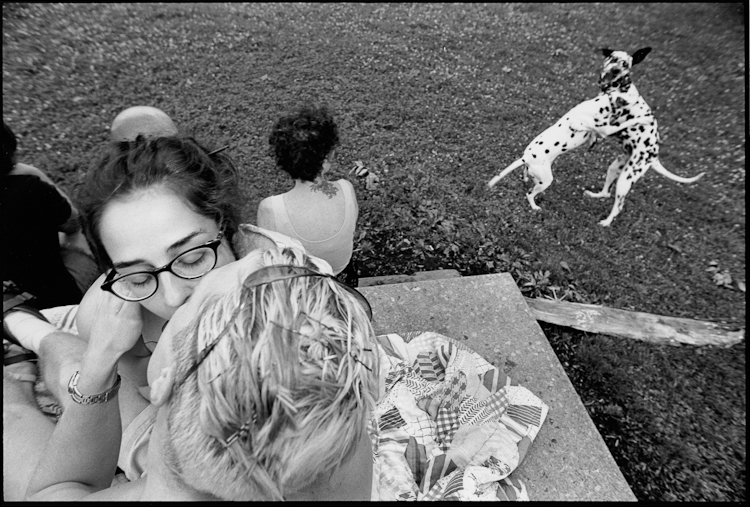 Dogs fighting in the background, running by, being scolded or trained, or trying to sneak a kiss themselves. 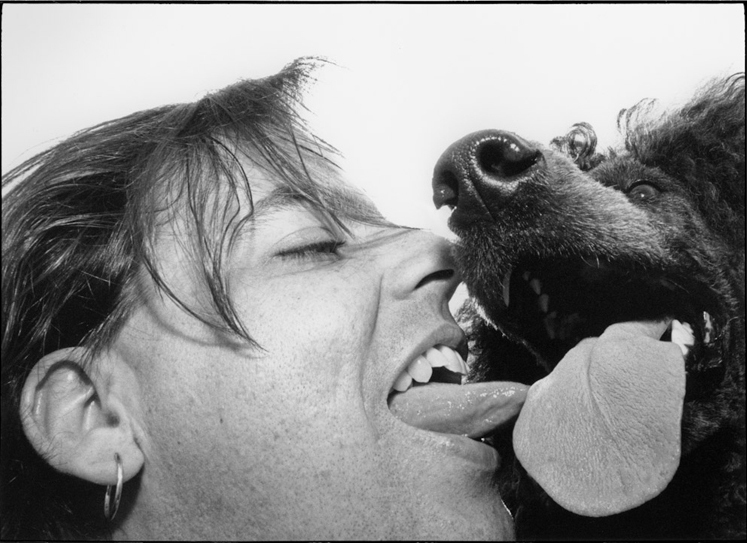 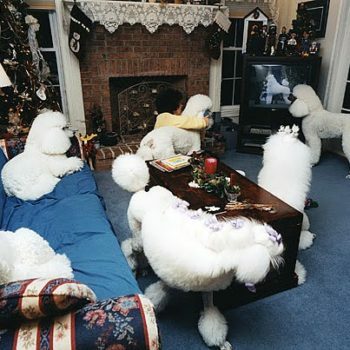 For more great dog pictures, be sure to check out Friedman’s other projects, like Dogs Who’ve Licked Me.